A year ago tomorrow I had an appointment to see a divorce lawyer. I was so scared and feeling vulnerable and completely blindsided. I had no idea what was ahead, all I knew was that the decision he made to sever finances from his wife and children was going to change our family and the rest of our lives. 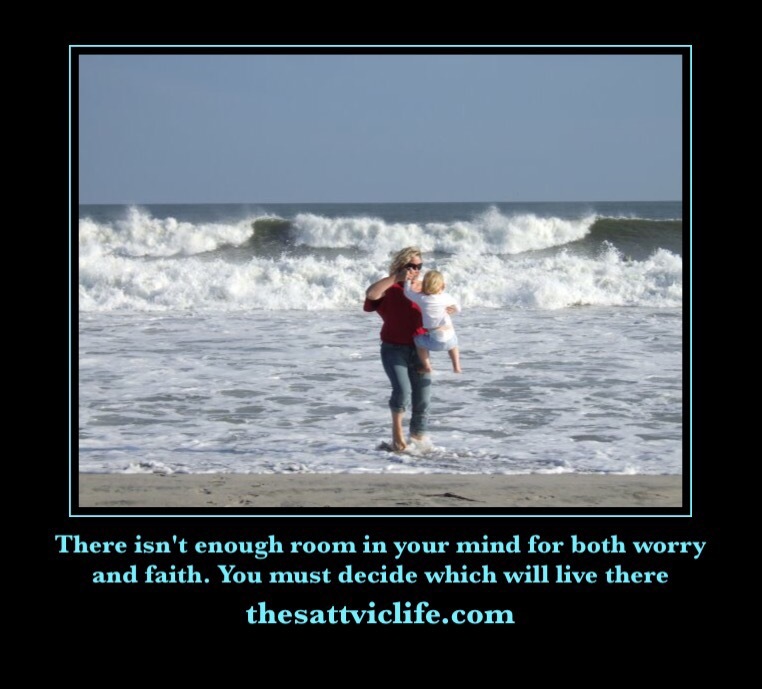 The first couple of months after I filed for divorce were completely filled with fear. But the battle of fear vs faith was one I was familiar with. Years before when I knew that my life needed a change I sat quietly with God and realized that either I trusted Him completely or I didn’t. After having tried extensively to fix my life myself (and failing brutally), I handed it over to God in faith and everything changed. I had to learn that lesson all over again last year. And I learned to walk in faith, I learned to trust God completely, I understood there was a plan and I just had to follow. I mean, I didn’t follow perfectly, and I certainly swore a lot at God (and doubted him too), but overall I learned to have faith and (more difficult), patience. Lately there have been fear feelings again. I don’t know why, my intuition just tells me that big changes are coming. This intuition has given me the heads up a few times over the past couple of years and has been dead on every single time, so I pay attention. I don’t know what the changes are, I don’t particularly embrace change, but I know that it happens no matter how I feel about it. And I realized how true it is. I can either stress about whatever change is brewing, or I can walk ahead in faith. This photo was taken almost 10 years ago when we moved from Quebec to Rhode Island. It was a big, scary move – and a huge leap of faith. It was also a step into some really, brutally hard years. But those years have also brought me into myself and there’s a huge gift in that. If all that crap hadn’t happened I wouldn’t be who I am today, I wouldn’t know that when the storm hits I can stand in it and walk through with my loved ones. I wouldn’t know that I want to surround myself with people who make me shine brighter instead of those who want to dim my shine. I’ve changed a lot over the last year. For a while I thought I was changing back into who I was before. But, I’ve realized that’s not the case at all. I have grown into someone completely different than I have even been. For the first time in my life I know my value, I feel my faith, and I trust and love on a level I never knew was possible. So, with all the heartache of the past year there is a lot of gratitude as well. I am glad I had the opportunity to turn into this version of myself. That is happiness, deep and lasting happiness. Being here with my kids, seeing them smile and trust and love – that is happiness. Watching them grow, seeing them bond with their tribe – happiness that bursts my heart. I read your comments every day. What a wonderful thing to be able to reclaim your tribe. That is how we are suppose to live. Whatever changes are coming stand strong. It really is how we are supposed to live. I spent too much time out there flying solo and being lost when I didn’t have to. It’s amazing how we look back over a year and realize how much we grew, painful (and unwanted) as it was. You did good. No, it wasn’t fun, but you survived it and moved forward. “For the first time in my life I know my value, I feel my faith, and I trust and love on a level I never knew was possible.” –> What a powerful story of hope! Thanks so much for sharing! I am also in a place of working through my fears and learning to trust in my faith. So thankful that God is so patient with us as we walk through the mess! Thank you. I’m glad you’re on the same journey 🙂 it has to lead to good things! I don’t know you, but it made me happy to hear your journey of courage! Love your post!